Taming the Animal we call Anxiety. I’m going to start off saying that I don’t have the magic ‘cure’ for anxiety. I know that’s isn’t exactly the best way to market yourself, but let me explain. Anxiety cannot be cured. It is not a disease. It’s a natural emotional that gets out of control. Therefore you can control it. It’s like a tiger. We need to tame it down to a domestic kitten. 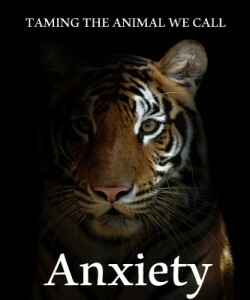 Every single person has this ‘anxiety kitten’…it’s part of being human…not everyone has the ‘anxiety tiger’ though…. Not only is anxiety an emotion that we feel in our minds we feel it in our bodies as well. So strong is the physiological aspect of anxiety that our hands go sweaty, our stomachs twist, our heads hurt and our shoulders tense. No other emotion affects us on such a physical level. Panic attacks grip us with such force we believe we are going to die. We are convinced of it as the very life breath within us is forced out. Emotions are messy, raw and gritty. They make no sense. They well up and overtake us with such force that we are literally torn from our happy logical rational lives and left trying figure out what on earth just happened. What is the purpose of anxiety? Our brains are extremely sensitive to anxiety. We are primed physiologically to be anxious and worried. It keeps us and has kept us safe for eons. Speaking in terms of evolutionary psychology the cave man (or woman) that worried and stayed safe reproduced… worry is a naturally selected biological trait. We all feel anxiety, we all worry. Worry is normal, human and that’s ok. It’s when it breaks out of it’s cage…when it turns from the domestic kitten in your house to a rampaging tiger tearing up your life and eating you whole that you know you have to take action. Starting psychotherapy can often be seen as just that sort of action! Taking the reins of control back into your own hands and attacking the anxiety in terms of becoming your own advocate. My approach is a little more specialised to looking at all aspects of the client as anxiety is so physiological using a predominated Person Centered Modality but incorporating mindfulness and psychoeducation to give you the client the control in a situation that feels as if you have no control. 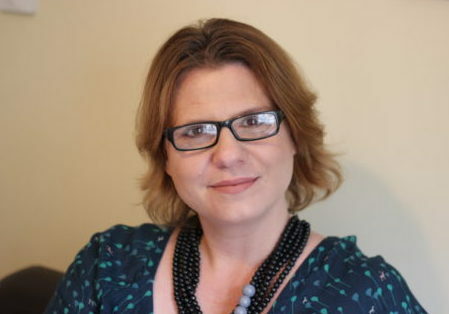 A BACP registered psychotherapist with a Masters degree in Counselling Psychology, situated in St Ives, Cambridgeshire.